Register for Webinar Wednesday: Reconstructing Your Genetic Family Tree by Blaine Bettinger, Ph.D., J.D. The recording of today's webinar, "Using MyHeritage Tools to Improve Your Family Tree Data” by Daniel Horowitz is now available to view at www.FamilyTreeWebinars.com for free. MyHeritage offers advance features to make sure your family research is accurate and neat: Consistency Checker and Pedigree Map are two wonderful tools available to curate your names, dates and places, finding minimal details you probably overlooked while building your tree. 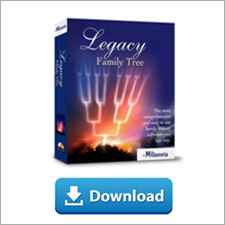 Take this opportunity to pause and evaluate your current data making sure you end with an accurate and clean family tree. 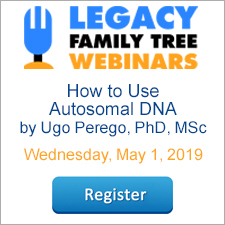 If you could not make it to the live event or just want to watch it again, the 1 hour 23 minute recording of "Using MyHeritage Tools to Improve Your Family Tree Data" is now available to view in our webinar library for free. Or watch it at your convenience with an annual or monthly webinar membership.